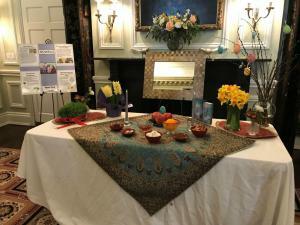 AMCD celebrates Persian New Year with State Department officials. 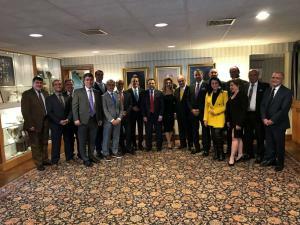 WASHINGTON, DC, USA, April 8, 2019 /EINPresswire.com/ -- The American Mideast Coalition for Democracy participated in the successful State Department Nowruz event on April 3rd in Washington DC. 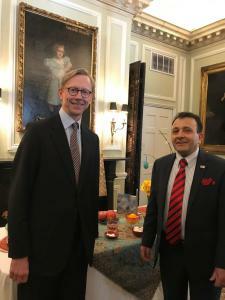 Michelle Giuda, the Acting under Secretary of State for Public Diplomacy and Public Affairs, Brian Hook, the Special Representative on Iran, and Andrew Peek, the Deputy Assistant Secretary of State for Iraq and Iran invited national Iranian- American community leaders for Nowruz (Persian New Year) celebrations at the State Department.